CLICK HERE to read the latest HMS Daily Announcements. CLICK HERE for more information and to download the application! CLICK HERE to download the letter from Ms. Patillo regarding the upcoming Georiga Milestones Testing schedule. To better prepare students for the upcoming Georgia Milestones assessment, the Georgia Department of Education has released Study/Resource Guides for both the End of Grade and the End of Course Assessments. Study/Resource Guides are intended to serve as a resource for parents and students. They contain practice questions and learning activities for each content area. Click on the links below to access these guides on the Georgia Department of Education website. Please CLICK HERE to download and view the Powerpoint presentation that as presented to the rising 9th graders and their parents at Lakeside High School earlier this year. Please CLICK HERE to download and view the Powerpoint presentation that as presented to the rising 6th graders and their parents earlier this school year. CLICK HERE to download the letter from Ms. Patillo about CCRPI scores. Please CLICK HERE to download the latest HMS Counseling Department Newsletter! CLICK HERE to download the latest HMS carpool pickup, dropoff and parking proceedures! 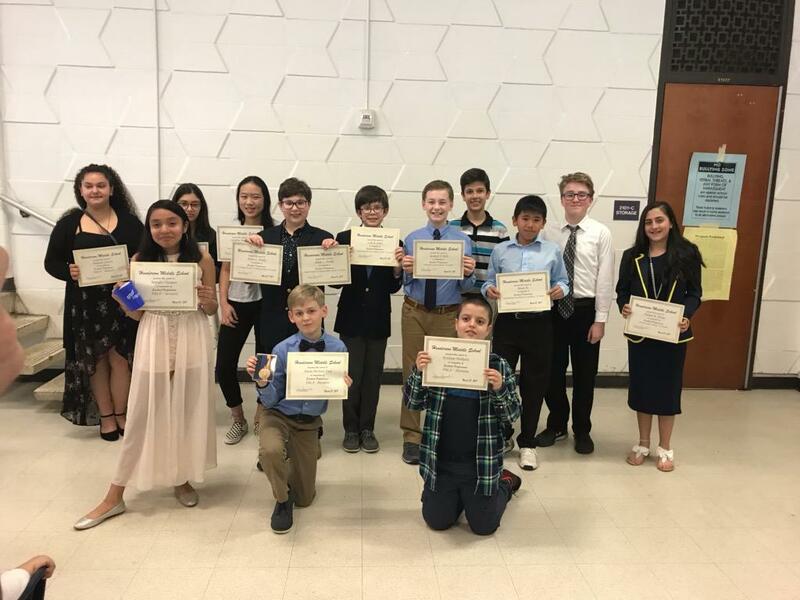 Congratulations to our HMS FBLA students for receiving numerous awards at the Student Career Organization Awards Banquet held on March 27th, 2019 at Lakeside High School. Over 20 certificates were awarded to our Business Ed and Computer Science students. Click on "Read More" to view the list of students and awards! 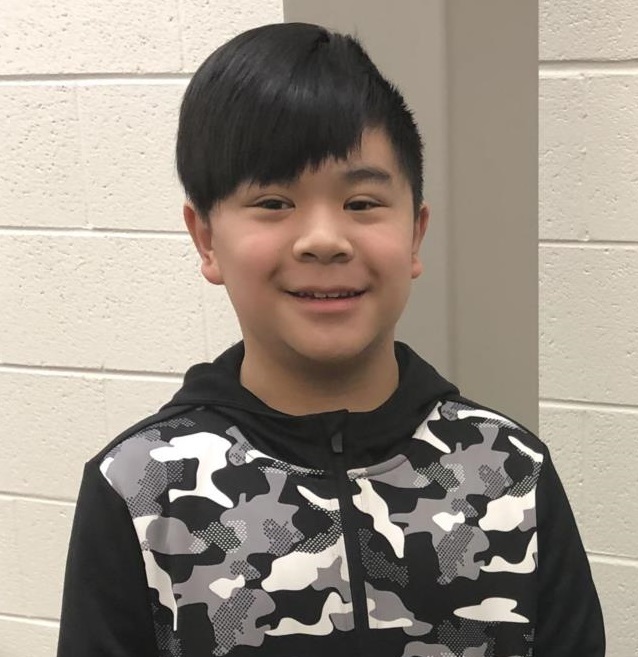 HMS Student to Attend State GeoBee! 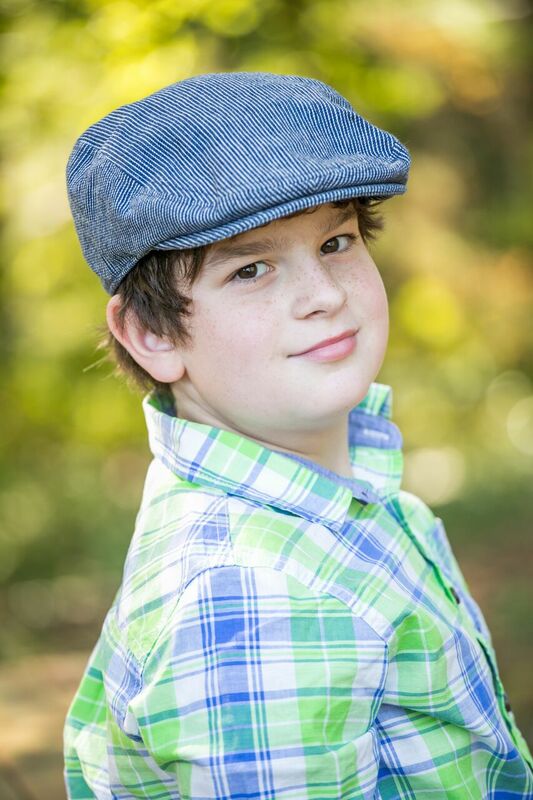 Congratulations to Dylan Kirk who will be representing Henderson Middle School AND the DeKalb County School District in the State Geography Bee to be held March 29th in Milledgeville. Dylan received 1st Place and his brother Jackson was first runner up in the Henderson Middle School Geography Bee. HMS had over 1500 students participate in the preliminary rounds of competition and sent 2 representatives from each team for the final rounds of the local competition. HMS Chorus Receives All Superiors! Great job to all our chorus students and Mr. Duncan!!! 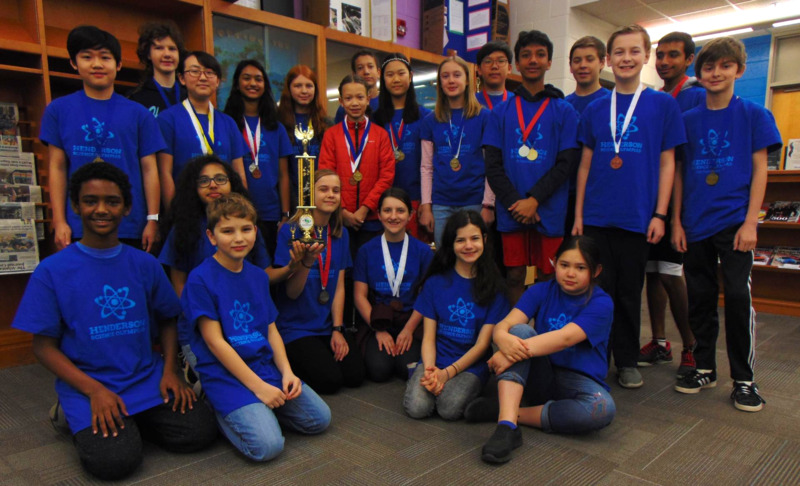 Congratulations to the Henderson Middle School Science Olympiad team for placing 3rd in the regional competition and advancing to the State Tournament to be held on March 16th at Kennesaw Mountain High School. The team competed with 14 other schools on March 2nd at Oconee County High School and the students were awarded 32 medals in 16 events. We are so proud of all the team members who performed very well this year! Click READ MORE to view students' places and events. Congratulations to Adia Bouldin and Sierra Burns, who have been selected as two of the top county all-star basketball players to participate in the 2019 Atlanta "City of Champions" All-Star Basketball Classics. They have been selected because of their athletic abilities and prowess during the 2018-2019 basketball season. Congratulations again to Adia Bouldin and Sierra Burns for this wonderful accomplishment! Congratulations to the 2019 HMS Reading Bowl Team. Our Cougars took 3rd place at the Metro Atlanta Regional Competition held February 9th, 2019! They competed against 15 other teams from school districts around the Metro Atlanta area. 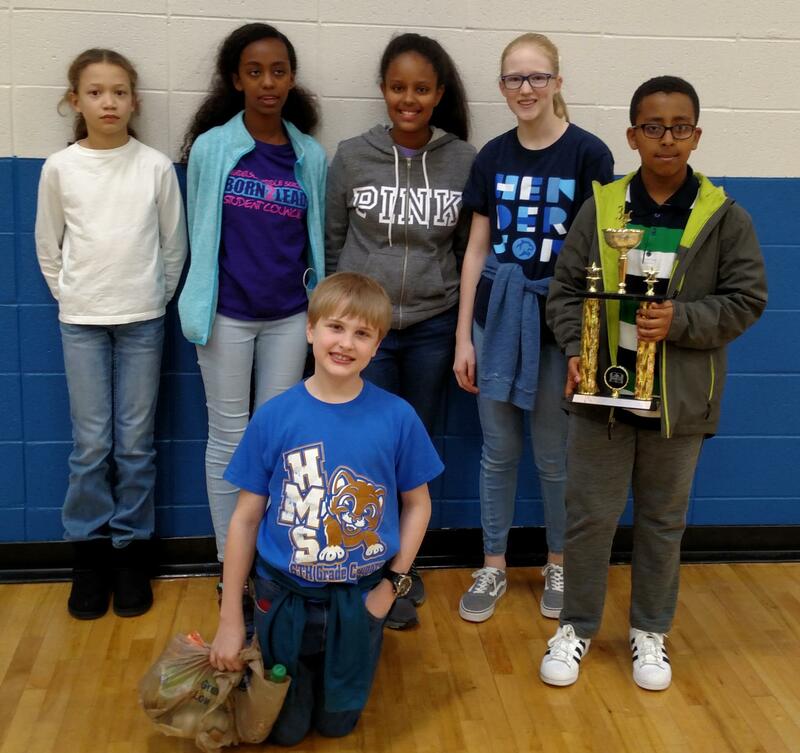 Our reading bowl team had an excellent season bringing home 1st and 3rd place trophies. Way to go Cougars! Congratulations goes to HMS 6th Grader, Shane Spillet, for winning 1st place in the 2019 DCSD Technology Fair in the Multimedia category! Shane's project was titled, "The Hawksbill Sea Turtle: A Journey of Survival." Shane was the only student from Henderson to place in any of the categories of the 2019 Fair. He has the opportunity to go on to compete in the state competition in Macon, GA.
HMS Student Takes 2nd Place in Spelling Bee! Congratulations to Dave Amadi for taking 2nd Place honors at the DeKalb County District Spelling Bee held February 6th. Dave advanced to the district bee after taking 1st Place at the Henderson Middle School competition. He now moves on to the GAE Region 4 Spelling Bee. Great job Dave!! HMS Receives Lowe's Toolbox Grant! Henderson Middle School was recently awarded a $2,000 Lowe's Toolbox for Education Grant. The grant was awarded to the school from the Lowe's Charitable and Educational Foundation to help with projects that fall into the following categories: technology upgrades, tools for STEM programs, facility renovations and safety improvements. Henderson Middle School will use the grant to establish an innovation lab (Makerspace) where students will have access to robots and STEM tools. Brenda Winston, Public Education Specialist with DeKalb County Watershed Management, visited Henderson Middle School on November 15, 2018 to talk to 8th grade students about FOG. FOG refers to the Fats, Oils and Grease which are often dumped into household drains. FOG clogs our sewer lines and costs taxpayers money. Students learned about the sources of FOG, the detrimental impact FOG has on our watershed, and how to properly dispose of FOG. HMS thanks Ms. Winston for bringing this presentation to our students. HMS Students Participate in Direct to Discover Live Video Conference! On Wednesday, October 31st, Henderson Middle School students participated in its first Direct to Discovery event. From the media center and from Ms. Baah’s classroom, seventh grade Social Studies students participated in a LIVE VIDEO conversation with Dr. Kenny Schmitt, a professor at Jerusalem University who lives in Abu Ghosh, Israel, a small village about seven kilometers from Jerusalem. 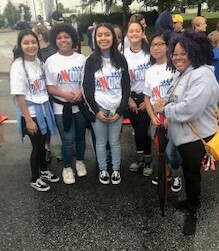 Kudos to our HMS Students and Parents who particpated in the walk to support the Juvenile Diabetes Research Foundation held on October 20th at the World Congress Center. HMS students raised $655 for JDRF. CLICK HERE for more information about supporting JDRF! 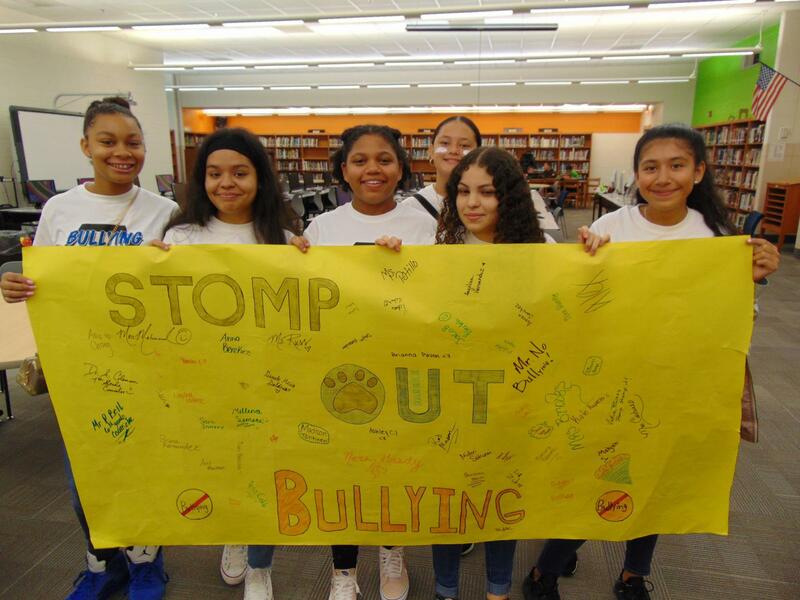 WSB-TV Features HMS Stop Bullying Campaign! Henderson Middle School had a great culmination to our week long anti-bullying campaign (October 22nd -October 26th). Students wore different color t-shirts to represent a different aspect of our anti-bullying campaign. Students participated in a door decorating contest, created anti-bullying posters, and some of our students met with news anchor, Sophia Choi, from WSB-TV Channel 2 News. It was a great week of activities and the excitement level was high. Ms. Patillo sends a special "thank you" to Ms. Jennifer Morris, Ms. Eliscia Brooks, Mr. Robert Mason, the HMS Student Council, the WHMS News Crew, and the Henderson MS PTSA. They all did a wonderful job in making this week a big success. Be sure to look for our student council students to be featured on a special news segment on anti-bullying efforts in public schools throughout the state of Georgia. The segment is scheduled to air November 12th on the 5pm and 6pm news broadcasts on WSB-TV. HMS Student Advances in STEMtalk Competition! A big HMS Congratulations goes to the 7th-grade scholar, Eliana Marcus, who was accepted to the next round for the Georgia Science Teachers Association STEMtalk Competition. Eliana submitted a five-minute video discussing how does diversity make a difference in STEM? The winner of the overall competition will receive an opportunity to speak at the 2018 STEM Forum. Thank you for representing HMS well. We are so proud of you! Congratulations to our Spirit Week Court Winners as announced at the Pep Rally on October 12th! Yearbook Cover Design Contest Winners! Congratulations to our 2019 Yearbook Cover Design Contest Winners! Two of the entries were selected as winners. Both of their designs will be incorporated into the yearbook cover. Five other students received Honorable Mentions and their designs will be displayed through out the yearbook. Many thanks to all the students who particpated in the contest and to Kelly Schroeder for helping coordinate the cover designs! HMS Students Attend Leadership Conference! 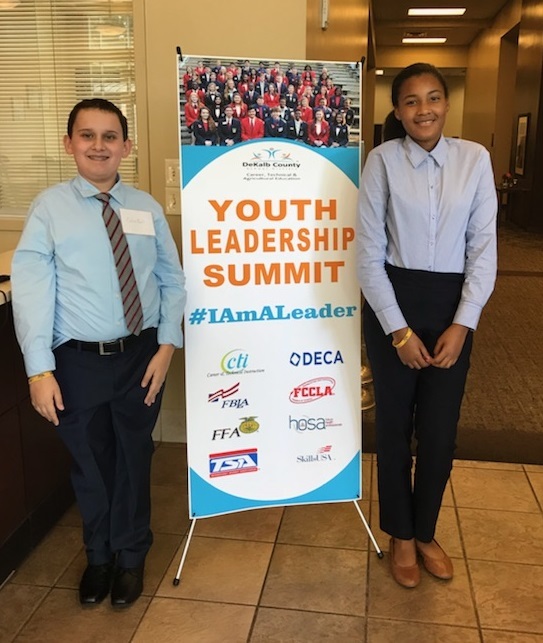 Congratulations to Aniyah L. Burton and Colin Fell who were selected to attend the “Youth Leadership Summit” program that was held on Friday, September 21st at the Georgia Piedmont Technical College, Clarkston, Georgia. Aniyah and Colin were chosen to represent Henderson Middle School along with one-hundred and fifty DeKalb County middle school and high school students who have shown high leadership interest qualities and future leadership potential. For more info about our school, click below to access our PTSA website!